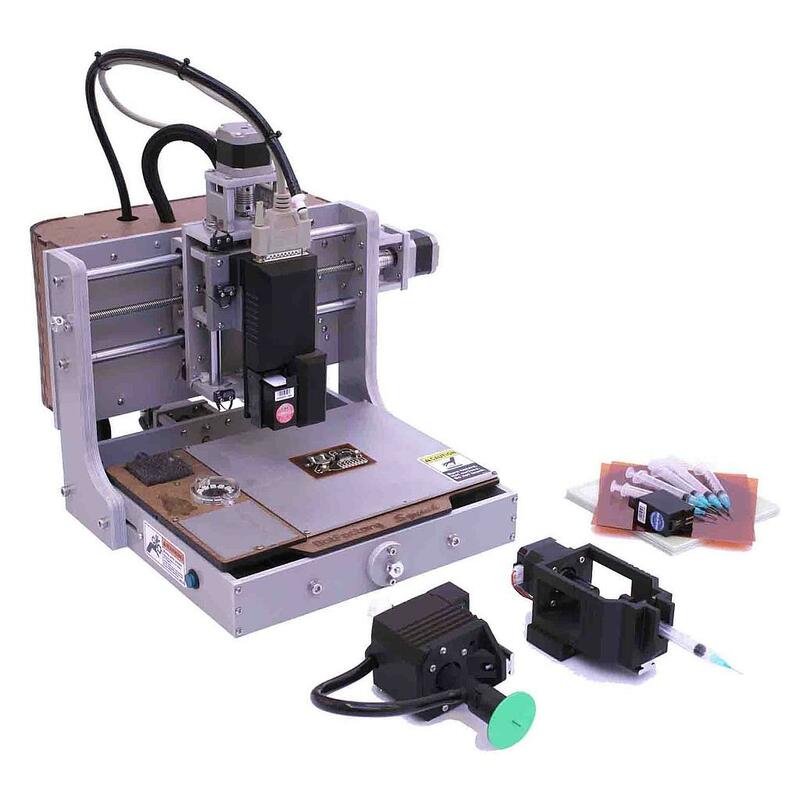 This device is a revolutionary Rapid PCB Multilayer Prototpying Centre and is an automated personal desktop Electronic circuit board factory for producing and manufacturing fully functional Electronic circuits using SMT or Through hole components in a matter of minutes. 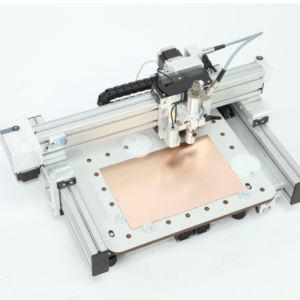 Allowing faster and more affordable PCB prototyping than ever before on dual layers producing repeatable and reliable results without all the mess and complication experienced in the traditional methods of PCB prototyping. Order Code: CIR-PCB-Prototpying. Category: Rapid PCB Prototyping Centre. 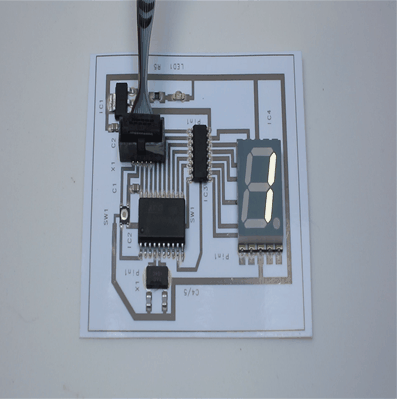 Tags: Circuit Board Printer, Conductive Ink, PCB, Prototpying. 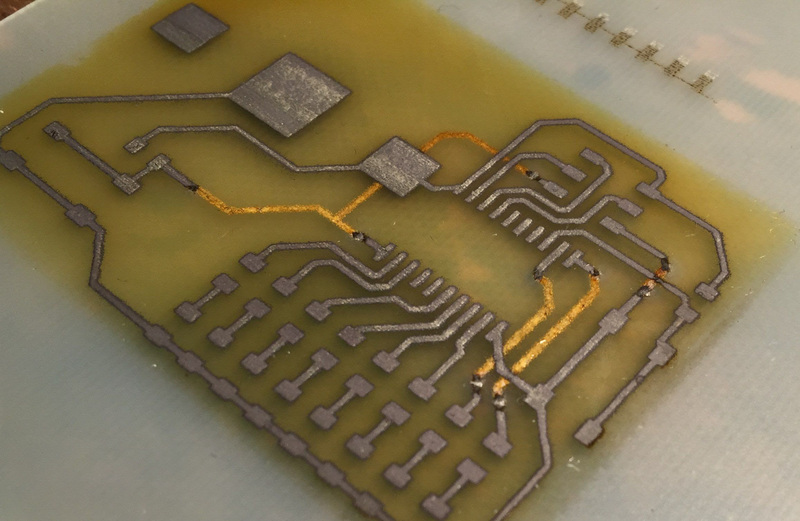 With the Rapid Prototyping centre Using an inkjet print head and a revolutionary low resistivity conductive ink, Electronic circuit traces are fabricated in just a few minutes on a wide variety of stiff and flexible substrates such as FR4, Kapton or PET film. Instead of either waiting for weeks, spending large budgets for factory-made PCBs or using traditional in house Etching techniques with expensive equipment and hazardous chemicals with the Circuit board centre Gerber or image files (JPEG, BMP, PNG) are transferred into the Circuit Board Centres web interface and circuit traces can be immediately printed on to a wide variety of different substrates in minutes. 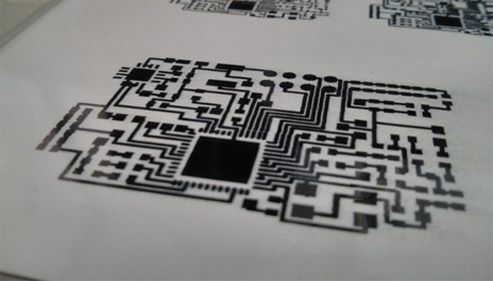 The circuit board centre opens up endless possibilities with printing flexible circuits for lighting on clear films, creating flexible wiring harnesses or teaching your students the fine art of digital design – all of this is possible. 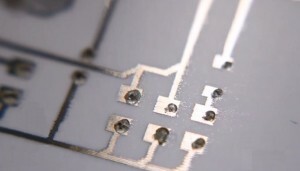 Now also featuring multilayer circuit board capability using a combination of conductive ink and insulating ink cartridges (Cured with the integral UV Exposure Unit) This utilisation of technology gives multi layer circuit board functionality allowing increased printed circuit board complexity on a smaller footprint. Using the Extruder tool head, solder paste or conductive glue is laid automatically down on to the printed or pre-fabricated boards in minutes. The Pick and Place takes your shaky hands out of the equation so you can get perfect circuits every time. 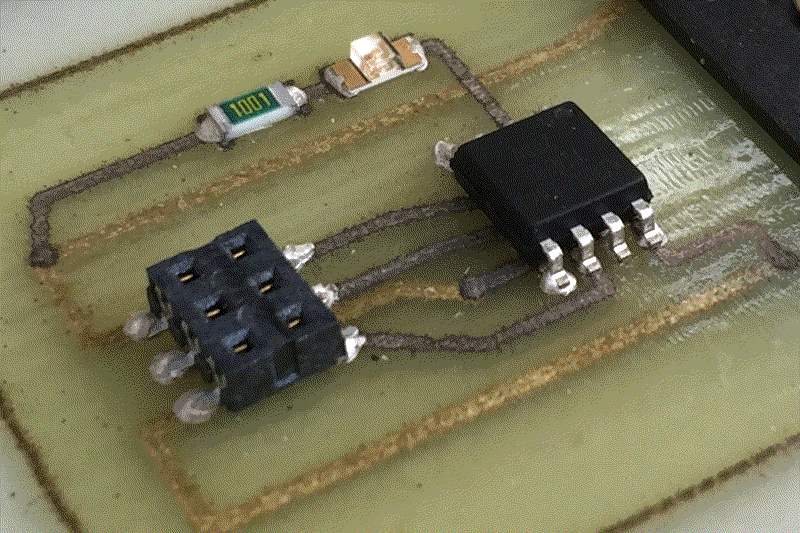 Using unique 2-part epoxies or stick to solder paste or off-the-shelf products durable flexible circuits are created. 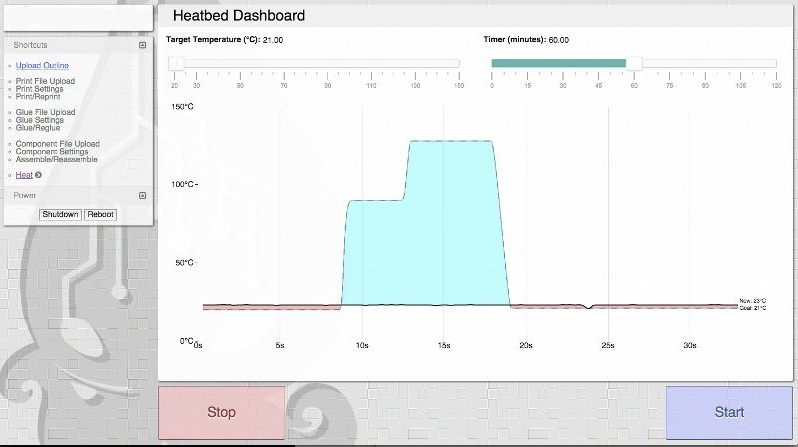 Powerful on board software is used to customize the extrusion profile to optimize solder ‘dot’ size and volume. 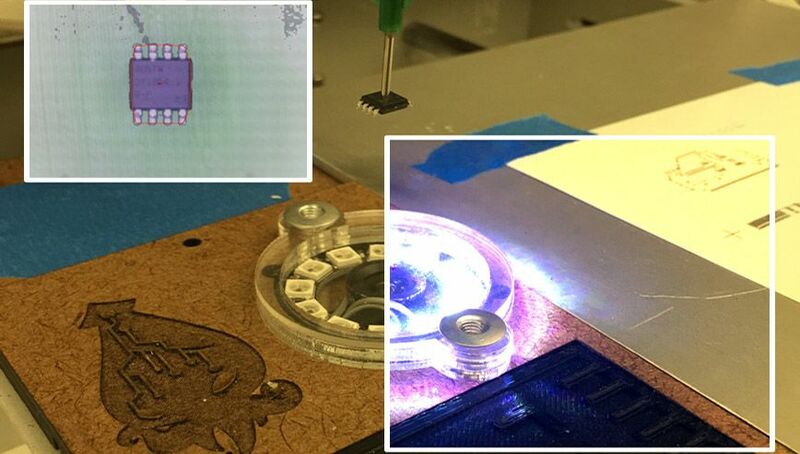 The pasting algorithm calculates the amount of paste needed for each component by analyzing the shape of the pads. With the Pick-and-Place toolhead, there is no end to what you can create. Custom-shaped LED arrays? Flexible Arduinos? Hyper-light Drones? If you can think it, you can make it. Before this revolutionary device was available, assembling these sorts of complex and compact electronic designs required infinite patience, careful hands and a magnifying glass. Now the solution is simple – design and drag-and-drop your “Centroid and Rotation” file into the web-based software, place your components in the tray and pick-and-place every part in the right spot. With a the Circuit Board Centre at your workbench, placing SMT components doesn’t seem like such a chore any more! The Pick and Place features on-board computer featuring machine camera vision. Offset and rotation errors are therefore automatically corrected before picking and place of every component. This ensures Electronic circuits constructed reliably each and every time. The Circuit Board Centre places the knowledge built over decades by the PCB industry in your hands. 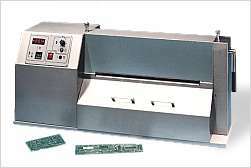 It provides a smooth and reliable process for electronic circuit manufacturing from your desk. In order to provide the right user experience the circuit centre relies on an on-board computer featuring an ARM Cortex-A8 procesor with two real time controllers, SIMD and GPU acceleration. 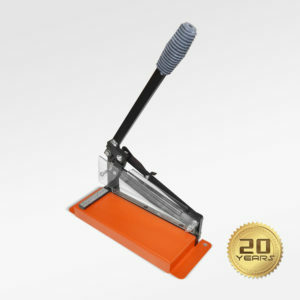 There is no manual, as every step of the process is explained using pictures and animations. 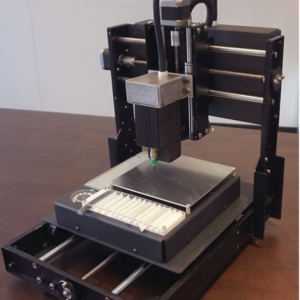 All you need to do is connect to the the Device via Ethernet or WiFi and use your browser to interface with the machine – no need to install additional software. Even better: The Squink gets smarter every week with software updates accessible at the click of a button. Build smart devices with a smart device!